This was a good year for cookbooks. They took us all around the world, but more than that they brought us inside the authors’ lived experiences. It was a year of volumes that are above all evocative, filled with personal stories and personality, conjuring culture and place. Cooking: It’s a #mood. It’s also an emotional center. 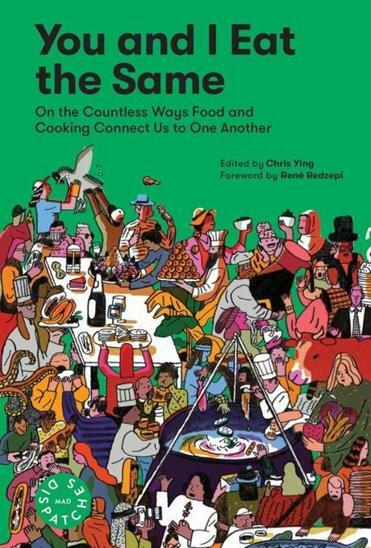 Although we saw, as always, books celebrating restaurant culture, the lion’s share focused on family, the intimate dinner party, the easy midweek supper, and ways to simplify things so that everyone can cook well and come together around the table. Here are some of the best cookbooks of 2018, for giving or for keeping. 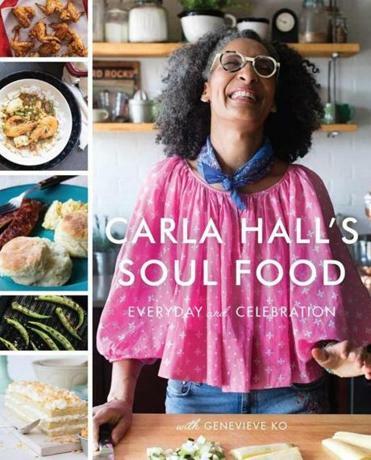 “I’m here to redefine soul food, to reclaim it,” writes chef/TV personality/force of nature Carla Hall in the introduction to her latest cookbook. Don’t just think of celebration foods like fried chicken and mac ’n’ cheese, but also the daily beans, greens, and grains-based diet African-Americans ate before the Great Migration and the advent of industrialized food. There’s room for both, Hall says, and she brings them together here in flavor-filled dishes like mixed bitter greens with smoked-trout pot likker; Caribbean smothered chicken with coconut, lime, and chiles; and grits souffle. True to their name, the “everyday” recipes often lend themselves to speedy but satisfying weeknight meals. What to make first: coconut callaloo soup, curried sweet potato salad, baked chicken with pan gravy, garlicky grilled pork tenderloin with black-eyed pea vinaigrette. 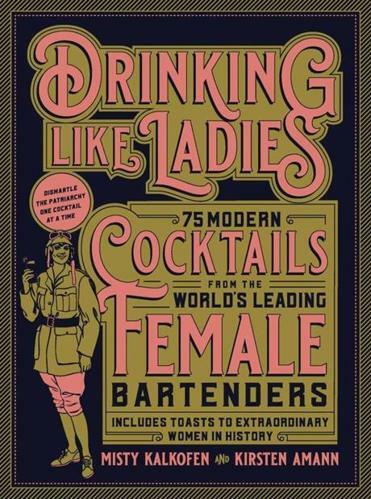 Kalkofen and Amann are longtime members of Boston’s bartending community, and with this book they have one mission: “dismantling the patriarchy, one drink at a time.” “Drinking Like Ladies” offers 75 cocktail recipes from women bartenders around the world. These are inspired by famous and semifamous historical figures profiled and toasted within, from environmentalist Rachel Carson (New York bartender Mimi Burnham created a drink called Turn This Mess Around) to Tawakkol Abdel-Salam Karman, the first Arab woman to win a Nobel Peace Prize (Milwaukee’s Katie Rose offers up the Good Governance). The book is dedicated to the authors’ moms. What to make first: Wichita Lineman, a bourbon-based highball from bartender Josey Packard, honoring musician Carol Kaye; Elements of the Stars, featuring rum, cinnamon syrup, and Amaro Montenegro, from Ezra Star, a salute to astronomer Cecilia Payne-Gaposchkin; Si Le Puede, a mezcal-based aperitif for activist Dolores Huerta, created by Victoria Elizabeth Wiley of Oaxaca City, Mexico. You might also like: “Aperitif: Cocktail Hour the French Way,” by Rebekah Peppler; “Northern Hospitality With the Portland Hunt + Alpine Club,” by Andrew and Briana Volk. I’m not sure how Anissa Helou managed to create a book that is this definitive and this wide-ranging at the same time. She is your expert guide to the food of North Africa, South and Central Asia, the Levant, the Arabian Gulf, and beyond. When you open to the bread chapter and find pide, saj, barbari, and k’sara, among others, you begin to get a sense of the culinary journey ahead. 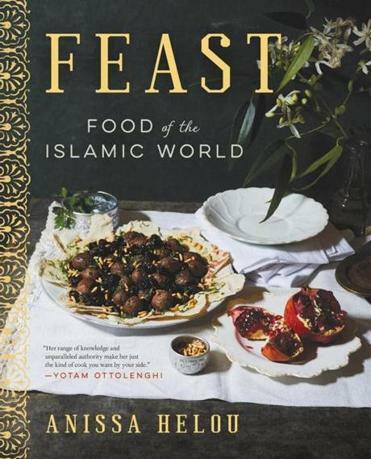 What to make first: Lebanese fatayer with spinach filling, Saudi roast lamb shoulder on a bed of fragrant rice, Syrian meatballs in sour cherry sauce, Indonesian fish head curry, Moroccan rice pudding. You might also like: “Bottom of the Pot: Persian Recipes and Stories,” by Naz Deravian; “Cooking in Iran: Regional Recipes & Kitchen Secrets,” by Najmieh Batmanglij. What to make first: Rye bread with radish butter and salmon caviar, roast split eggplants with goat cheese, smoked haddock and celery root gratin, slow roast duck legs with sweet-sour plums, Jenny’s sago gula melaka. You might also like: “Now & Again: Go To Recipes, Inspired Menus + Endless Ideas for Reinventing Leftovers,” by Julia Turshen; “Repertoire: All the Recipes You Need,” by Jessica Battilana. What to make first: pita bread, 5-minute hummus with quick tehina sauce, fattoush with corn, freekah mujadara, lamb shoulder shawarma. You might also like: “Shaya: An Odyssey of Food, My Journey Back to Israel,” by Alon Shaya. It may not be the book you’ll cook from the most (or maybe it will), but it might be the one you’ll love the best. “‘Deeply personal’ is the beginning and the end of Fred and David’s playbook,” says the intro. 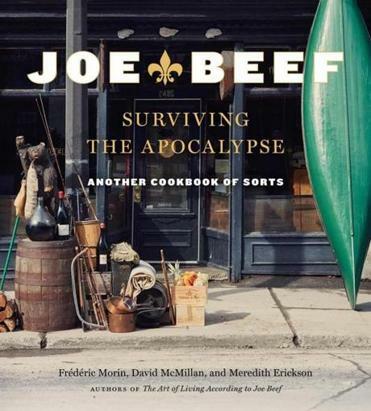 The people behind Montreal restaurant Joe Beef are definitely concerned about your long-term survival in the end times, but really this is a book about making stuff and shutting out the noise. “The apocalypse is on Instagram,” they write in the intro: It’s self-obsession, the superficial. This book is about the real, and growing up and having kids when you kind of thought those things wouldn’t happen. Also cooking, often influenced by time spent in off-the-grid cabins on the lake. If you’re not going to make a smallmouth bass in birch bark or horse ceviche or spruce cough drops, you might make cabbage apple bacon pie, risotto from Minute rice, and your own bouillon cubes (“You will need: Hashish press. Yep”). What to make first: savory Dutch babies, oeufs mayonnaise, buttered turnip soup, veal tenderloin with brown butter sauce and mushrooms. You might also like: “Chasing the Gator: Isaac Toups and the New Cajun Cooking,” by Isaac Toups and Jennifer V. Cole; “Solo: A Modern Cookbook for a Party of One,” by Anita Lo. Sohui Kim is a classically trained chef and co-owner of Brooklyn restaurants the Good Fork and Insa. 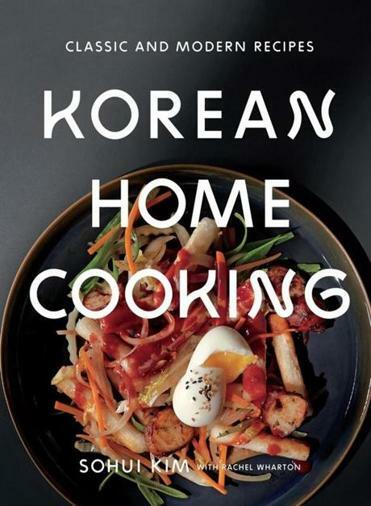 The latter serves Korean food, but Kim wanted to re-create a more relaxed, at-home experience with this cookbook. It teaches you to cook the dishes Koreans make to nourish their families around the table — from the side dishes called banchan to Korean barbecue, flavorful stews, and more. What to make first: Dubu jorim (soy-braised tofu banchan), dongchimi (whole radish water kimchi), haemul pajeon (seafood pancakes with scallions and chiles), bulgogi (grilled sirloin), soondubu (silken tofu stew with seafood). You might also like: “I Am a Filipino: And This Is How We Cook,” by Nicole Ponseca and Miguel Trinidad; “Japan: The Cookbook,” by Nancy Singleton Hachisu. 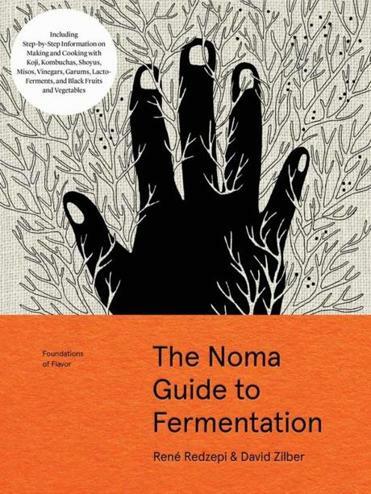 fermented fruits and vegetables to vinegar, miso, shoyu, and more. Helpful photographs show you what your experiments should look like from day to day. What to make first: lacto plums, lemon verbena kombucha, pearl barley koji, hazelnut miso. You might also like: “Blotto Botany: A Lesson in Healing Cordials and Plant Magic,” by Spencre L.R. McGowan; “Sharp: The Definitive Introduction to Knives, Sharpening, and Cutting Techniques, With Recipes From Great Chefs,” by Josh Donald. 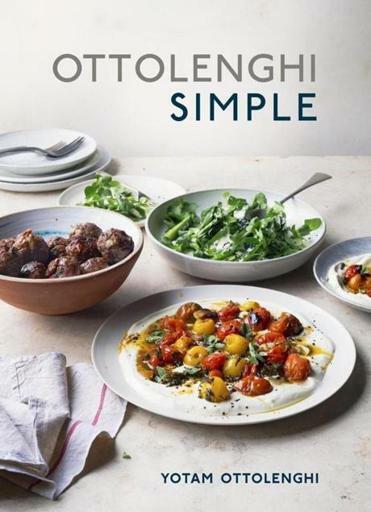 You have all the other Ottolenghi cookbooks, you’re probably going to buy this one too, and you won’t regret it. 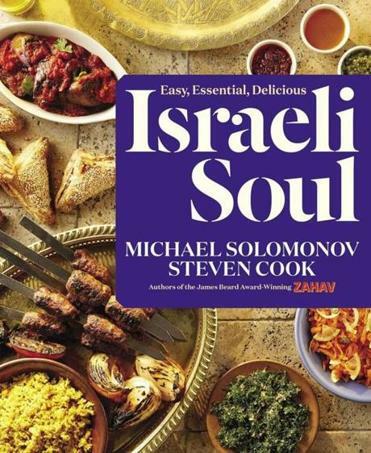 Here the man behind “Plenty,” “Jerusalem,” and others offers more than 100 of his Middle Eastern-inflected recipes, these doable without a whole lot of hoopla or extra shopping. Many of the dishes have short ingredient lists, can be pulled off in no time or in advance, or consist entirely of pantry ingredients. What to make first: mustardy cauliflower cheese, baked mint rice with pomegranate and olive salsa, soba noodles with lime, cardamom, and avocado, lamb meatloaf with tahini sauce and tomatoes. You might also like: “Cook Like a Pro: Recipes & Tips for Home Cooks,” by Ina Garten; “Everyday Dorie: The Way I Cook,” by Dorie Greenspan; “Milk Street: Tuesday Nights: More Than 200 Simple Weeknight Suppers That Deliver Bold Flavor, Fast,” by Christopher Kimball. The author of “The Baking Bible, “The Cake Bible,” and “The Bread Bible” is back, with an illustrated bible: a volume of 100 recipes with step-by-step photos. 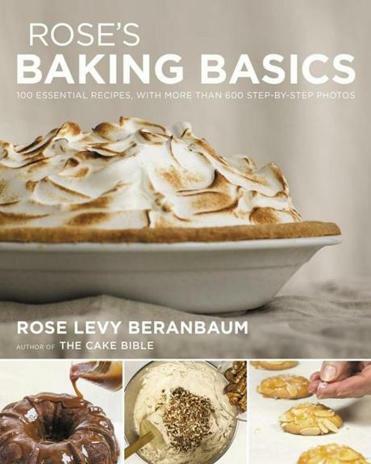 If you don’t know how to bake and want to learn, this book is for you. If you are experienced, this book is for you too, exacting and illuminating. It isn’t a kicky, new-breed baking book that aims to reinvent the things we already love. Instead, it is filled with classic cookies, cakes, pies, tarts, and breads. What to make first: Rose’s chocolate chip cookies, pure chocolate flourless cake, apple galette, babka swirl loaf. You might also like: “All About Cake,” by Christina Tosi; “A Baker’s Year: Twelve Months of Baking and Living the Simple Life at the Smoke Signals Bakery,” by Tara Jensen; “Black Girl Baking: Wholesome Recipes Inspired by a Soulful Upbringing,” by Jerrelle Guy; “Food52 Genius Desserts: 100 Recipes That Will Change the Way You Bake,” by Kristen Miglore; “Sister Pie: The Recipes and Stories of a Big-Hearted Bakery in Detroit,” by Lisa Ludwinski. You may recognize Nik Sharma’s hands: brown, often against a black backdrop, creating vibrant, stunningly lit food. He became known for his blog, A Brown Table, then his San Francisco Chronicle column, A Brown Kitchen. 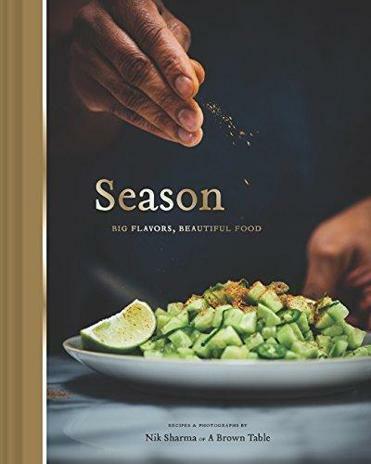 In “Season,” he continues to combine his life’s influences, using food to tell the story of a gay Indian immigrant to America, who left a career in medical research to cook. 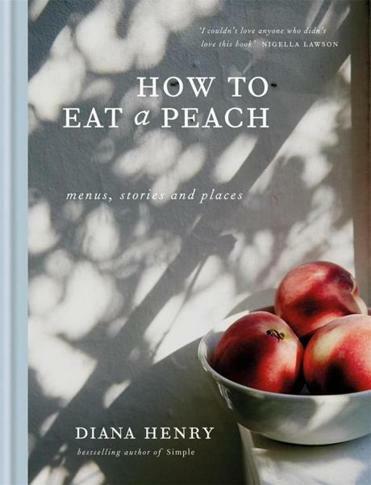 The book reminds us that food can offer connection, tell a story, and be a friend during times of discomfort. The recipes remind us it can be really delicious. What to make first: Caprese salad with sweet tamarind dressing, Bombay frittata, tandoori swordfish steaks, lamb chops with red lentils, spicy chocolate chip hazelnut cookies. You might also like: “Buttermilk Graffiti: A Chef’s Journey to Discover America’s New Melting-Pot Cuisine,” by Edward Lee; “Coconuts and Collards: Recipes and Stories From Puerto Rico to the Deep South,” by Von Diaz. A collection of essays, not a cookbook, for those who prefer reading about food to preparing it. It is the thing that brings us all together, as this volume reminds us again and again — a welcome message. Aralyn Beaumont points out that “Everybody Wraps Meat in Flatbread”; Osayi Endolyn examines the universal love of fried chicken, and what it means; Krishnendu Ray writes about the importance of getting to know one another’s cuisines; and so on. You might also like: “Edna Lewis: At the Table With an American Original,” edited by Sara B. Franklin; “Hippie Food: How Back-to-the-Landers, Longhairs, and Revolutionaries Changed the Way We Eat,” by Jonathan Kauffman; “The Poison Squad: One Chemist’s Single-Minded Crusade for Food Safety at the Turn of the Twentieth Century,” by Deborah Blum; “We Fed an Island: The True Story of Rebuilding Puerto Rico, One Meal at a Time,” by José Andrés with Richard Wolffe.